MOSCOW, Jul 1 (PRIME) -- Russia’s Siberian Anthracite has set the price range for its forthcoming initial public offering (IPO) at U.S. $7.0–9.5 per Global Depositary Receipt (GDR) valuing the company at $630–855 million, the company said Monday. The company’s representative told PRIME that the bidding book will be opened in two weeks. Siberian Anthracite plans to float 25% of its shares in the IPO on the London Stock Exchange. JP Morgan, Morgan Stanley, Raiffeisen Bank International, and Sberbank CIB will act as organizers of the placement. In 2012, the company’s net profit rose 21.9% to $117 million, while revenue jumped 27.3% to $399 million, in accordance with International Financial Reporting Standards (IFRS). 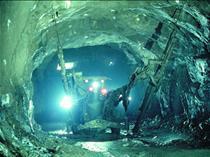 Siberian Anthracite, with reserves of over 351 million tonnes under JORC, focuses on coal mining, washing, and sales. The company’s flagship project is the Gorlovskoye coal deposit in Siberia.